Parrots are generally robust birds that live long and happy lives. There are, however, many ailments that can befall them, most of them being like the common cold - briefly debilitating, but soon gone. The key is to get an accurate diagnosis as early as possible and act accordingly on an avian vet’s advice. Note: The following sections list some of the commoner diseases, but are by no means exhaustive. Aspergillus. This is a fungal infection of parrots’ air sacs and lungs, usually contracted in damp or dirty environments where the fungus can bloom. The symptoms are breathing difficulties, with an audible wheezing, accompanied by fluffed-up feathers and a generally ‘poorly’ appearance. There is sometimes discharge from the nostrils. Avian Gastric Yeast (AGY) infection (Wasting Disease). Also known as macrorhabdiosis, or megabacteriosis, this highly contagious infection is caused by a mixture of yeast infection and secondary bacterial infection. It affects budgies mainly. It is difficult to spot in the early stages, incubating with no outward sign of trouble. The first outward sign is weight loss, as AGY impedes digestion. There will be undigested food in the droppings, and birds may vomit food and mucus. Candida virus (Thrush), or Candidiasis. This is a yeast infection, the same one that infects humans. It blooms in the parrot’s crop or digestive tract, and will not be transmitted to humans via birds unless you allow them to ‘kiss’ you (an ill-advised ‘trick’ that some owners like to teach their birds). Infected birds will be listless and may have loose droppings. As these are symptoms of many kinds of ailment, a trip to the vet for diagnosis is essential. Candida is easily treatable. Colds, Sneezes. Parrots can catch colds (although the viruses are different to that which infects humans) , and the symptoms are similar - runny noses, swollen eyes, wheezing and sneezing. In parrots, however, the condition can lead to rapid decline, and a vet’s administrations will be required. Macaw Wasting Syndrome, or Proventricular Dilatation syndrome. This is a viral infection that causes stomach problems, Infected birds will have an increased appetite, but will weight loss and pass undigested food in their droppings. There may be vomiting too. There is a rapid decline in health, ending in death if not treated. 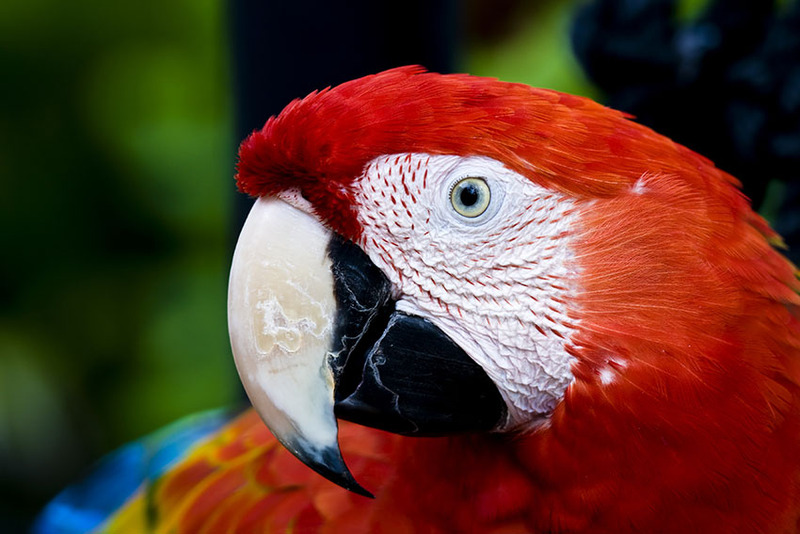 It is not restricted to macaws, but it cannot be transmitted to humans. 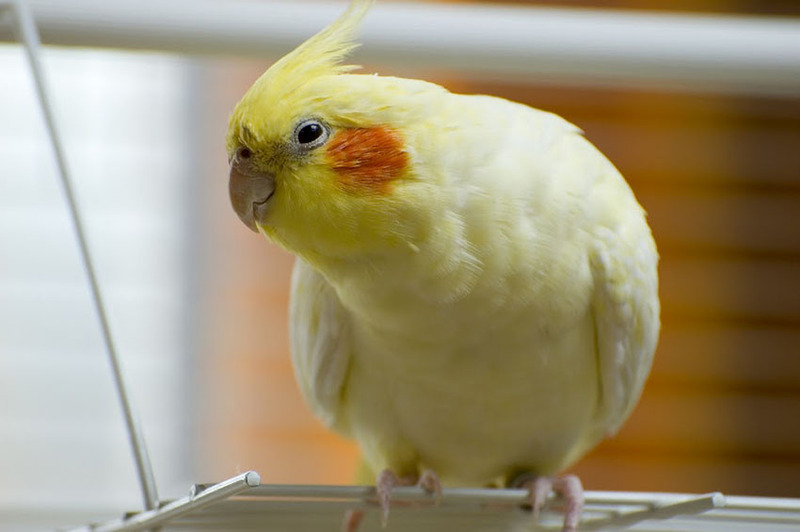 Prevention via regular and thorough cage cleaning is the best approach, as an infected bird is unlikely to survive and a vet will usually recommend euthanasia. The symptoms of a poor diet are varied, from feather loss and beak malformation to behavioural problems and a rapid decline into death. All pet birds need their recommended daily doses of vitamins and minerals, as well as protein, fatty acids and various micronutrients. A balanced diet and access to a mineral block should supply all these needs. A lack of calcium will lead to Hypocalcaemia. This causes particular problems in female birds if they are laying eggs. They may become egg-bound, or the egg might be soft-shelled and unviable. An affected bird may become infertile. In order to absorb calcium, the parrot needs a good vitamin supply too - a healthy diet and mineral block should provide all the bird needs. This is the worst thing that can strike your aviary. It spreads very quickly, and most of the affected birds will die. The organism responsible is Chlamydophia psittaci, a species of the chlamydia family of bacteria. In birds the disease is called ornithosis, and in parrots has the specific name psittacosis. One of the chief problems is that it can survive in the environment in soil or droppings, Keeping a clean cage or bird house is therefore essential, and the best preventative treatment. If infection strikes, disinfecting the environment is necessary – suitable treatments are readily available from vets. The fact is, the world is full of chlamydia bacteria. Around 1% of the wild bird population is thought to carry it, and its presence in their droppings is the usual origin of an outbreak in an aviary. Many of these wild birds are carriers, with no external symptoms of the disease. It tends to flare up under stress – other illness, drought, poor food supply, quarantine or re-housing, for example – and spreads via the air through feather and faecal dust (‘dander’). An infected bird will have infected droppings up to two weeks before showing signs of illness. Quarantine of any new bird is therefore vital, for at least 45 days. Symptoms vary according to species. Conjunctivitis and other signs of sore or swollen eyes is a clue (although this may be due to other infections, note). If the problem is psittacosis, the condition won’t respond to conventional treatments. In general, the image of being ‘sick as a parrot’ sums up the symptoms – normally lively birds become withdrawn, with ruffled feathers, loss of appetite, rapid weight loss, loose droppings (often bright green) and breathing problems (including nasal discharge and coughing/sneezing). Some birds decline very quickly and die within 24 hours. If a bird shows any of these symptoms, isolate it immediately and consult a vet. Diagnosis through tests is surprisingly difficult, as the chlamydia bacteria are commonly present in so many birds in a dormant state. One online advice site for parrots makes the grim observation: “Post-mortem examination is perhaps the most reliable method of achieving a positive diagnosis”! But an autopsy will at least let you know if your other birds are in danger (i.e. if one parrot has the disease, the others are probably infected). 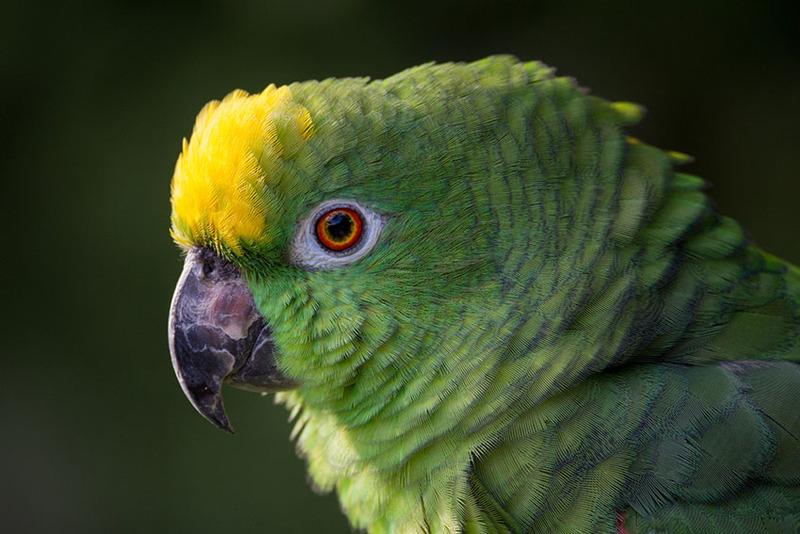 A vet may recommend putting an infected parrot to sleep, due to the disease being so difficult to eliminate, and also the potential threat to human health. This is always a dilemma, but human health considerations must take priority. Polyoma. 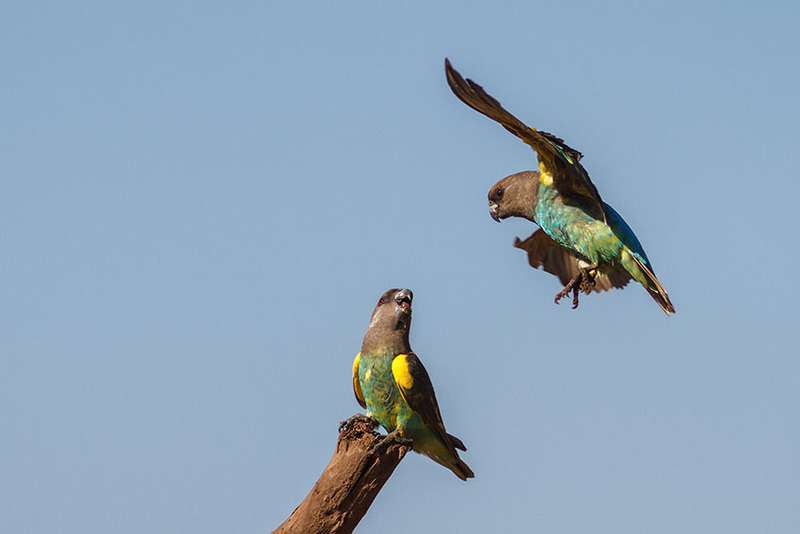 This virus is a major cause for concern in baby parrots, causing a high percentage of deaths. In older birds the virus is treatable with antibiotics. Symptoms in adult birds are intestinal - loose droppings and vomiting. Younger birds will have swollen stomachs, shakiness and feather problems. Polyoma is not transmittable to humans. Birds can be vaccinated against it - far and away the surest prevention. Psittacine Beak and Feather Disease (PBFD). This is an incurable condition caused by Psittacine circovirus. It attacks feather follicles, causing feathers to become stunted and deformed. Over time they will drop out. The disease is not life threatening in itself, but can cause the immune system to become depressed, making the bird susceptible to secondary infection. An affected bird will need additional warmth, and will look like a giant, reptilian parrot chick. Cockatoos and cockatiels are particularly susceptible. Unfortunately there is still no cure. Sour Crop. The crop is part of a bird’s digestive system, and it can become infected by bacteria or candida yeasts. ‘Sour crop’ is a catchall for crop-related problems. The symptoms will be a swollen crop area, regurgitation and listlessness. A vet’s expertise will be required to pinpoint the problem and offer a cure. Ulcerative dermatitis. This is a skin complaint involving ulcerated skin. It may be due to previous wounds or breakages, diabetes or intestinal parasites. 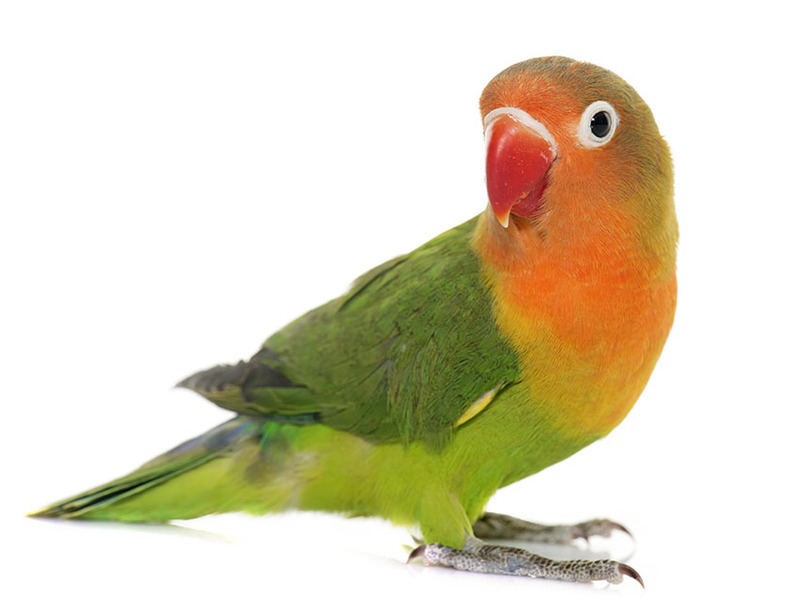 The ulcers are caused by the uncomfortable parrot pecking its own skin. The sores become itchy, creating a vicious circle. Once the wound is open, bacterial or fungal infections can cause problems. Cleaning and vet-prescribed antibiotics are the cure. Parrots may have to wear a collar while the wound heals.